The New Zealand Geographic Board Ngā Pou Taunaha o Aotearoa (NZGB) has a legislative responsibility to assign, alter, discontinue or approve undersea feature names on New Zealand's continental shelf and on the continental shelf of the Ross Sea region of Antarctica. Individual countries have an exclusive right to name undersea features within their territorial sea. For New Zealand, this is within 12 nautical miles of our coastline. Beyond that, any country or individual can name an undersea feature. 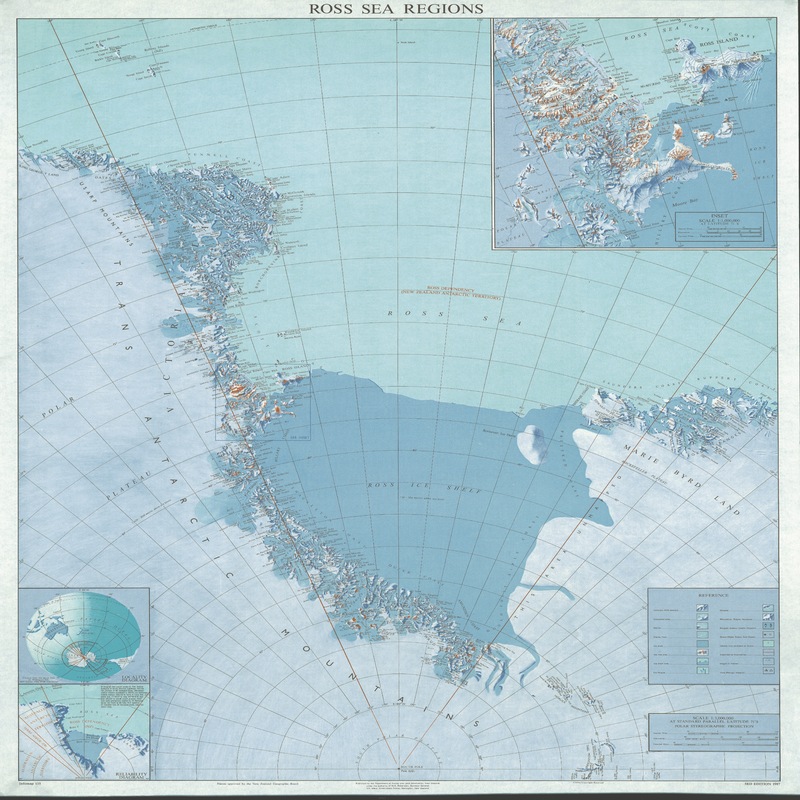 In this country, the New Zealand Geographic Board (NZGB) is responsible for naming undersea features on the continental shelves of New Zealand and the Ross Dependency of Antarctica. What is the undersea area covered by New Zealand’s territory? What area does the Ross Dependency cover? You can search undersea feature names in the New Zealand Gazetteer (the Gazetteer). The Gazetteer holds all official undersea feature names assigned by the NZGB. The list is not exhaustive as the NZGB does not exclusively name all undersea features. You can also search New Zealand bathymetric charts – maps of the ocean/water body floor. The New Zealand Chart Catalogue has an index to charts by region, a numerical chart list, ocean sounding charts and the general bathymetric chart of the oceans (GEBCO). You can search or download names of undersea features beyond New Zealand’s waters in the GEBCO Undersea Feature Names Gazetteer. A group of international experts, the GEBCO Sub-Committee on Undersea Feature Names (SCUFN), determines the naming and display of features shown on GEBCO products and Regional Mapping Projects, and on international charts and bathymetric maps. An international Protocol encourages countries to consult on undersea feature names in their mutual areas of interest before SCUFN considers naming proposals.